On the hunt for the best Victoria web design company? Are you struggling with a lack of sales or leads from your current website? Or maybe your company has no web presence at all. Web developers (and those to claim to be) are pretty much a dime a dozen these days, but business owners understand that their website needs to be extraordinary to stand out. This is where a professional web design company can help. With the help of today’s technology, designing a basic website structure isn’t particularly labour intensive, and there are many low-cost, do-it-yourself options out there. Building your own website, or having one built by someone who isn’t a professional, would probably yield the same results as any other project that would require experience and training. We promise not to make any prune faces when you ask us about our rates. While we aren’t necessarily the lowest priced web design company in Victoria, we will certainly challenge anyone to our offering and value for dollar. We believe our delivered products will create results for your business, by being optimized for search engines, yielding website traffic and potentially converting your website visitors into your customers. What’s more, we will backup our work with an unconditional 60-day warranty post-launch. Immediately following the launch of your new website, we provide a 30-minute orientation session, which will help get you familiar with your website’s back end, so there’s no need to call a web developer every time you need a simple change or update. As our past clients will confirm, we will portray your corporate image the right way. Our team consists of web designers, developers and resident SEO experts who can deliver each completed project with passion and pride. Avoid the mistake made by many: if you build it, “they” will not necessarily come. Get to know your industry and the organically searched keywords your potential customers may be using to try and find your business or website. You can easily research keywords by speaking with one of our SEO specialists, or by using a keyword tool, such as Keyword.io or using Google’s Keyword Planner. Investing time, effort and your hard earned dollars into designing a website without a solid plan to draw traffic could be a fruitless venture. Whether your plan is to draw traffic locally in Victoria, across Canada or around the world, you may be challenged to achieve top ranking results for competitive keywords, particularly if your website is new. Talk to us about your specific online marketing goals. 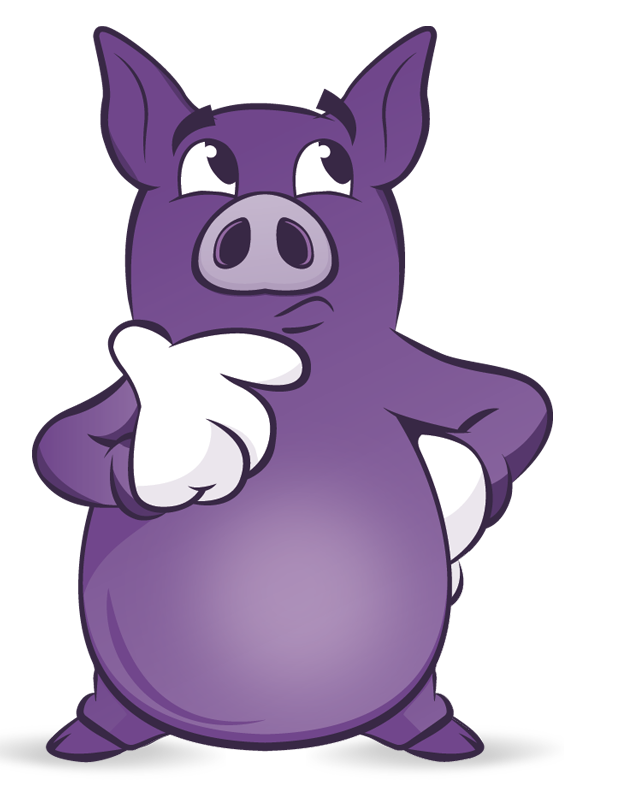 At Purple Pig, we will consider keywords that are of value to you when building your website. A website with good SEO structure is one of our top design goals and should be yours, too.